A contemporary re-imagination of how Ganesha broke his tusk and wrote the Mahabharata with his broken tusk. Ganesha is like any other little boy with his mouse as his side-kick. 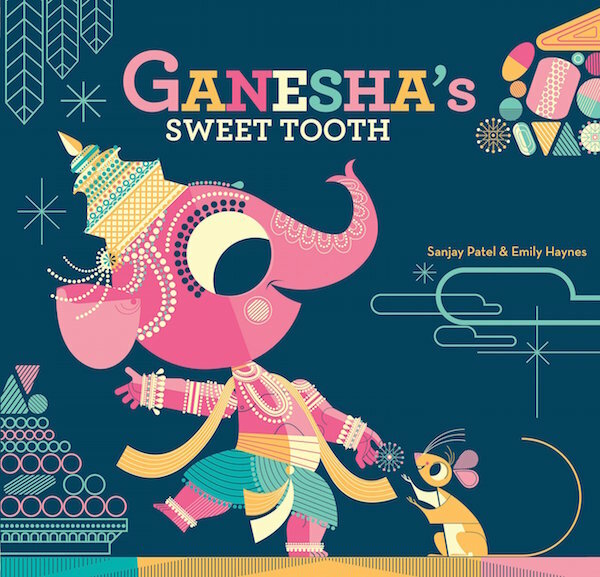 He loves sweets and when he comes across the “Super Jumbo Jawbreaker Ladoo”, he bites into it and breaks his tusk.Ganesha is upset by this and worries that everyone will laugh at him. And in his frustration throws his tusk at the moon.But it flies over a bush and hits an old man – Vyasa. We also loved the way the little Mr. Mouse with his briefcase negotiates terms with Vyasa to write his long poem – the Mahabharata.